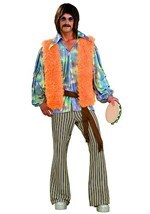 Groovy dude. 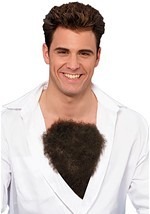 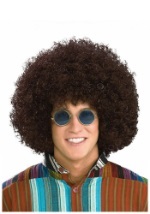 Not to prove to be rude, but this wig is what you might want as a hairdo. 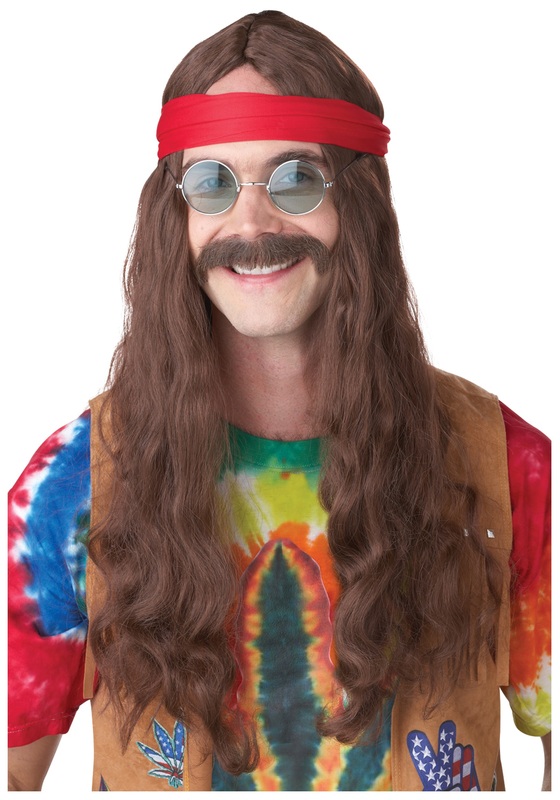 It has long strands of synthetic brown hair for a classic hippie look, held in place with a mesh net that has an elastic band. 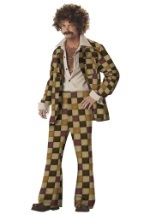 A matching brown self-adhesive handlebar mustache is also included. 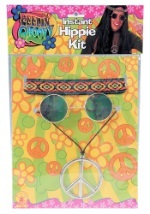 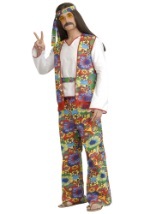 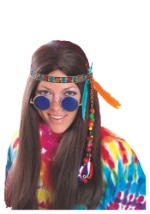 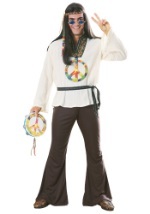 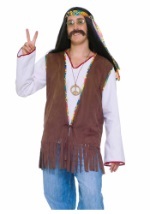 You'll start thinking like a true hippie with this on your noggin.